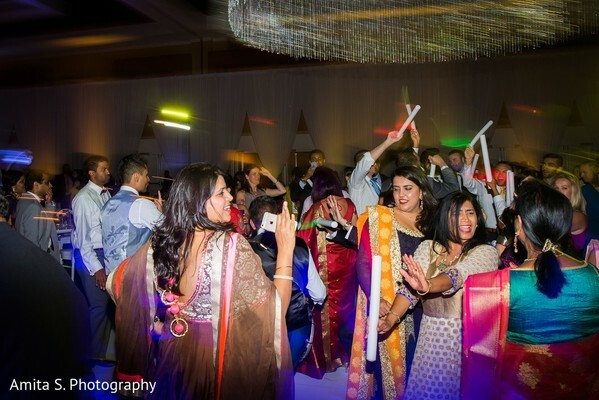 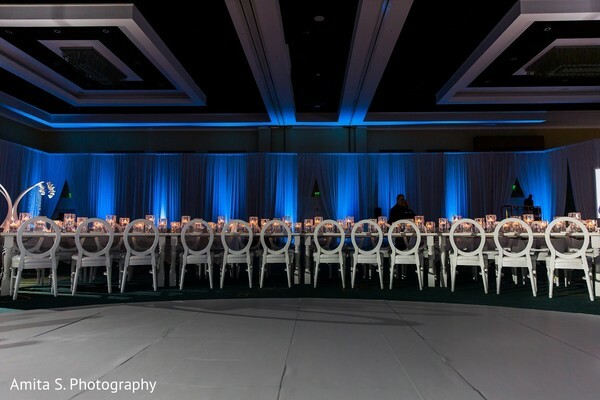 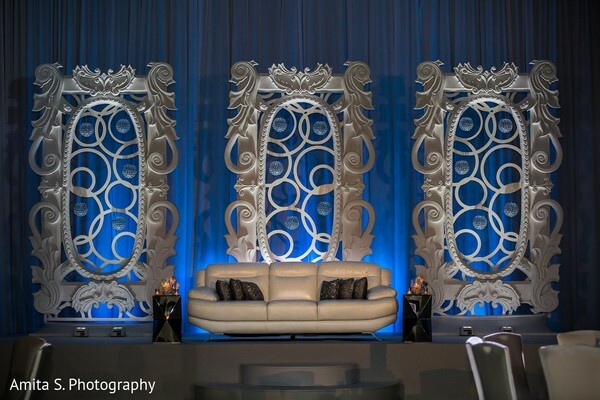 The Hilton Orlando is no stranger to extraordinary events, but we're pretty sure even they haven't seen an Indian wedding reception like today's, planned to party perfection by Envi Event Planning and DJ'd to delight partygoers by WeGoDisco! 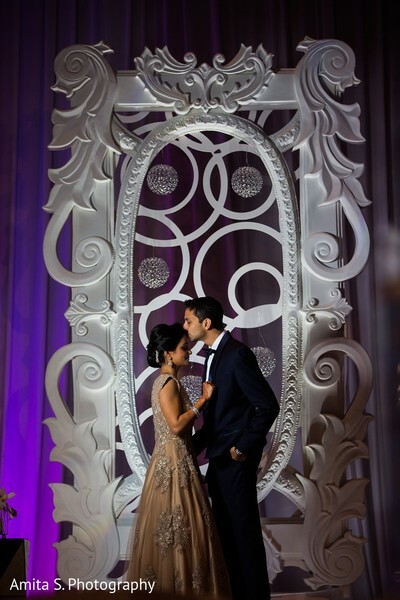 Amita S. Photography captured the exquisite highlights from Aarti and Kuna's post-ceremony soirée, where the venue space was unbelievably decorated by Occasions by Shangri-la! 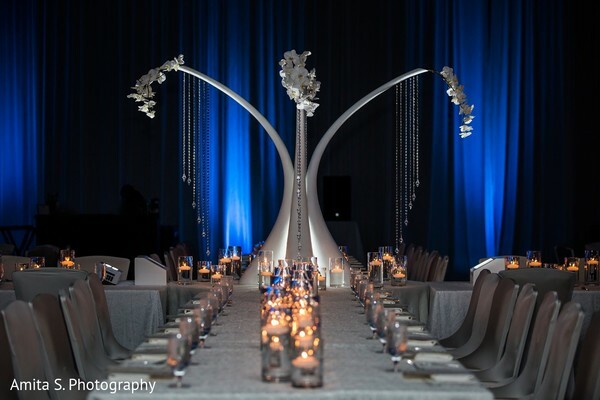 From the centerpieces that could pass as works in the sculpture wing of a contemporary art museum, to the hundreds (maybe even thousands?) 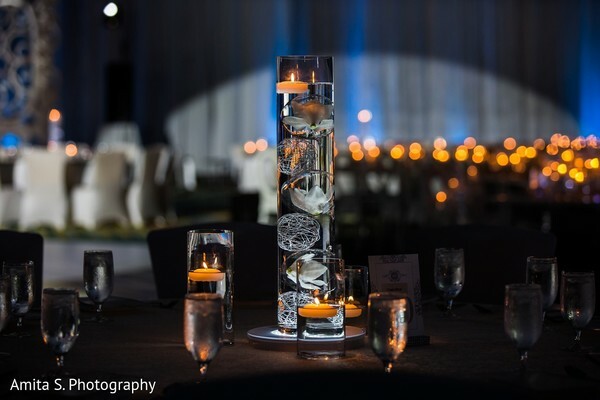 of twinkling tea lights that flooded the space fabulously and added an extra dose of romance to the evening, every detail was beyond brilliant. 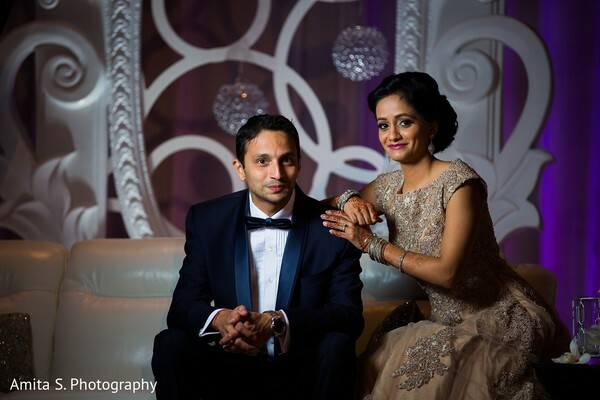 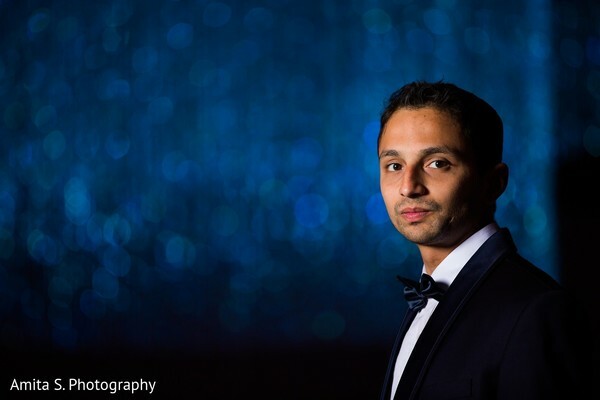 Today's Indian bride turned heads in a peach and champagne gown that moved beautifully to the music on the dance floor, and her brand new hubby dressed to impress in a midnight blue tux. 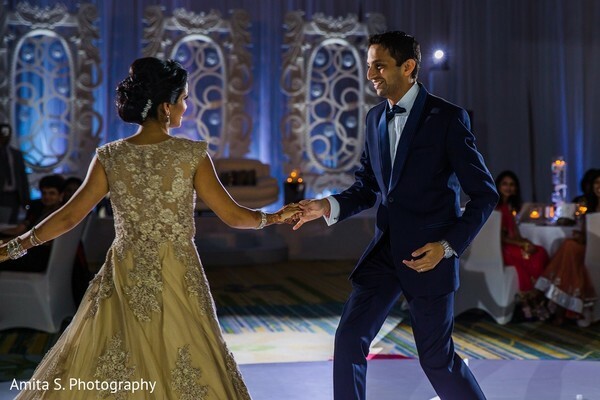 If you're still looking for more of the exclusive details from Aarti and Kunal's Indian wedding wonder in Orlando, you can find all the Pinnable inspiration you can handle in the complete gallery and relive the most spectacular highlights in their wedding film by Fandango Studios! 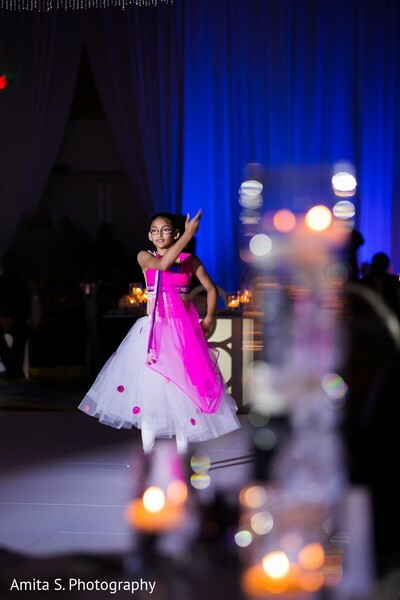 Want exclusive insight from Maharani Aarti? 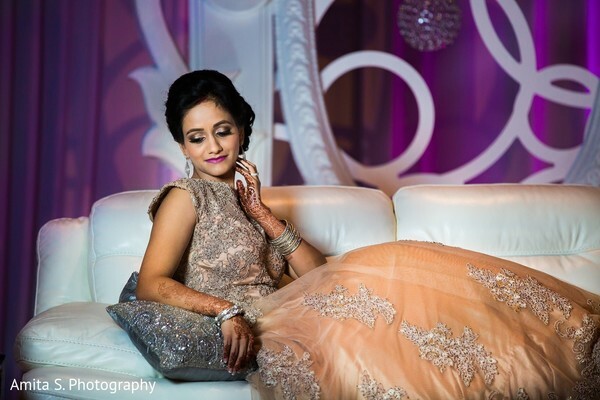 You can find it here after her and Kunal's wedding film!